Lake Acworth Antique Flea Market. 4375 Cobb Parkway. Junction Highway 41 and Route 92. I-75, Exit 121. Hours 9am-5pm Saturday and Sunday. Open holidays. Free adm. Ample parking. Indoor/outdoor market with covered spaces. Approximately 400 dealers. Market is strong on antiques, collectibles and primitives. This market has it all - produce and new & used merchandise. Space $12., reservations recommended. Snack bars, restrooms, h/a and lots of walking. c/p Wendell Tummlin. 4375 Cobb Parkway. 30101. (770) 974-5896. Yesteryear Flea Market. 43337 Hwy 92. (Junction of Highway's 92 and 41). Hours 8am-5pm. Admission charge. Ample parking. Average weekend attendance 6,000. Approximately 250 dealers. Antiques, good selection of collectibles, decorator items, primitives and crafts. Good cafe, clean restrooms, h/a, camping nearby. One of the area's better markets. Indoor/outdoor market with space from $6. C/p Bill Abernathy, 4337 Acworth-Dallas Rd, 30101. (770) 974-6259. America's Flea Market. 1030 Gordon. Ample parking. Approximately 125 dealers. Collectibles, silver, coins, linens, farm items. New merchandise, sportswear, jewelry, electronics, housewares. Snack bar, restrooms, h/a. Indoor market, air conditioned and heated. One of Georgia's largest indoor markets. Spaces from $18. per weekend. c/p William Shockey, 1030 Gordon. 31701. (912) 435-6231. Kitty's Flea Market. 3229 Sylvester Road. Highway 82, 3 miles East of town. Hours: 7am to 4pm. Free adm & ample free parking. Market averages 300 dealers. Outdoor market with covered spaces. New and used merchandise, lots of garage sale merchandise, tools, toys, jewelry, furniture. Space from $5. per table. Food available, restrooms. c/p Jim Andrews, Box 51324. 31705. (912) 432-0007. The Friendship Store. Highway I-75. Ample parking. New indoor market. Antiques, collectibles, crafts and flea market items. Antique auction conducted 1st Tuesday evening of each month. Snack bar, restrooms, h/a. (912) 567-4592 or 859-2315. The Village Market. I-85, Exit 50. 1/4th mile from the highway. Ample parking. New market. New merchandise, souvenirs, novelties, sportswear, electronics, housewares. Restrooms, h/a, food available. Food vendors welcome. (706) 693-4466. The Market Place. Brookwood Drive. Indoor market. Ample parking. Collectibles, primitives, country and farm items, crafts, glassware. secondhand merchandise. Snack bar, restrooms, h/a. Booths start at $40. per week. (706) 546-1032. Country Flea Market. Hardman Road & US Highway 78. Ample parking. 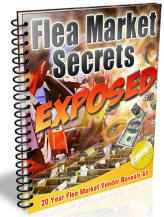 Flea market merchandise, new and used items. Crafts, produce, collectibles. Snack bar, restrooms, h/a. (706) 354-8996. Georgia Antique Center & Flea Market. 6624 I-84 Access Road. Hours Friday 12pm-7pm, Saturday 10am-8pm, Sunday 12pm-7pm. Ample parking. Antiques, furniture, collectibles, silver, coins, jewelry, linens, quilts, glassware, primitives. Snack bar, restrooms, h/a. (404) 446-9292. Atlanta Flea Market. North 85 Drive In Theater. 2424 Piedmont Road. Ample parking. Approximately 300 dealers. New merchandise, new collectibles, electronics, souvenirs, novelty's, housewares, outdoor items. Snack bar, restrooms, h/a. Mainly permanent booths. c/p Jack Hodgkins, 2424 Piedmont Rd NE. 30324. (404) 266-2495. Flea Market USA. 1919 Stewart Avenue. 30315. Hours 9am-7pm. Ample parking. Indoor market with approx 400 dealers. New merchandise, sportswear, sporting goods, toys, housewares, tools, souvenirs, novelty's. Used merchandise, crafts, produce, collectibles. Snack bar, h/a, restrooms. c/p Manager 1919 Metropolitan parkway S.W. 30315. (404) 763-3078. Atlanta Flea Market. 5360 Peachtree Industrial Blvd. (Chamblee) Hours Friday 12pm-8pm. Saturday and Sunday 12pm-7pm. Ample parking. Average attendance 6-8000. Approximately 200 dealers. Indoor market, permanent booths only. This market very strong on antiques and good collectibles. Good selection of smalls, fine jewelry and lots of quality collectibles. Monthly rentals only. Food available, restrooms, h/a. c/p W. S. Malone. 5360 Peachtree Industrial Blvd. 30341. (404) 458-0456. Forest Square Flea Market. 4855 Jonesboro Road. (Forest Park). Ample parking. Indoor market, with approximately 150 dealers. Market heavy on new merchandise. Imports, gifts, housewares, electronics, personal items. Snack bar, restrooms, h/a. Space from $30. c/p Joan Brown, Box 1382. 30050. (404) 361-1221. Antiques & Collectibles Market. Exposition Center. I-285 exit 40 at Jonesboro Road. Hours 9am-5pm. Ample parking. Approximately 1500 dealers. Antiques & collectibles only. Lots of high quality dealer set-ups here. Great selection of quality collector items and smalls. Inside space from $65, outside from $45. Snack bar, restrooms, h/a. c/p Don Scott, Box 60. Bremen, OH 43107. (740) 569-4912 or 569-4112. Fax: (740) 569-7595. Pride of Dixie Antique Market. North Atlanta Trade Center. I-85 to Indian Trail, exit 101. East on Indian Trail, Right on Oakbrook Parkway, Right on Jeurgens Court. Admission $4. Antiques, collectibles, silver, glassware, coins, jewelry, watches. A very nice quality oriented market. Food available, ample parking, restrooms, h/a. c/p Antique Market, P.O. Box 567. Frankfort, OH 45628. (404) 279-9853. South Augusta Flea Market. 1531 Doug Bernard Parkway. (Airport Road). 30906. Opens at 6 am.22 year old well established flea market. Strong attendance. 500 outside spaces with over 200 permanent dealers. Lots of good country antiques and collectibles here. New and used merchandise. Quality smalls. Space from $5. per day. Tables available $1. day. Plenty of food, restrooms, lots of walking. c/p Ronald Rhodes, 1562 Dough Bernard Parkway, 30906. (706) 798-5500. M & M Flea Market. 341 Industrial Drive. Highway 341. New market. Indoor/outdoor market with approximately 25 dealers. Collectibles, new and used merchandise, lots of secondhand garage sale merchandise. Snack bar. Ample parking. Space from $3. per day. c/p J. B. Moss, 210 Highway 41. 30204. (404) 358-1724. Brunswick Flea Market. 204 Old Jesup Road Brunswick, GA 31520 . I-95, Exit 7. Ample parking. New and used merchandise, antiques collectibles, crafts, quilts, secondhand items. 18 acre grounds with 45,000 sq ft building. Food available, restrooms, h/a. Camping available. (912) 571-9800. New Town Flea Market. I-75, Red Bud exit to New Town Road. Hours 7am-7pm. Approximately 50 dealers. Collectibles, primitives, crafts, used merchandise, lots of secondhand items. Snack bar, restrooms. Outdoor market with space from $5. c/p Earl Abernathy. Rt. 1. 30701. (706) 625-1157. West Georgia Flea & Farmers Market. Highway 27. 2 miles South of I-20. Hours 8am-5pm. Spaces start at $8 uncovered one day $12 covered one day and $15 inside one day. Large animal/livestock section at this market along with lots of secondhand merchandise, nice selection of nice collectibles and locally made crafts. Food, restrooms. Camping available. (770) 832-6551. Appalachian Trader Flea Market. Highway 441 South. Ample parking. Antiques, collectibles, primitives, farm and country collectibles. New and used merchandise. Crafts, produce. Food available, restrooms, h/a. Seasonal market open May-August. (404) 872-2486. Dixie 400 Flea Market. 4755 Setting Down Circle. Off Highway 400, 8 miles north of town. Hours 9am to 6pm. Indoor and outdoor market with approx 75 dealers. Market mainly consists of used and garage sale merchandise with some new merchandise. Space from $5. per day. Snack bar, restroom. C/p Manager, 4755 Setting Down Circle, 30040. (770) 889-5895. Columbia Drive In Flea Market. 1395 Columbia Drive. Ample parking. New merchandise, used and flea market merchandise, crafts, collectibles, produce, lots of country collectibles. Snack bar, restrooms, h/a. (404) 288-2935. Dekalb Flea Market. Glenwood Drive In Theater. Ample parking. Antiques, collectibles, crafts, new and used merchandise, garage sale items. Snack bar, restrooms, h/a. (404) 289-6011. Come out and enjoy an eclectic mixture of people from all over the Atlanta area. Our booths hold all sorts of wonders. Including but not limited to hand designed leather, Native American Art, NASCAR Collectables, perfumes and oils, music, clothing, footwear, silk floral arrangements, handmade Peruvian jewelry, carpet and rugs, fishing gear, hunting gear, collectible knives, Pokemon, Yu-Gi-Oh, Dragon Ball Z, Comic Books, Electronics, Household items, Furniture, DVD's, Wood carving, Signs, African Art, and so much more. Red Barn Antique Village. Highway 78. Ample parking. Outdoor antiques and collectibles market. Good selection of country and farm items, primitives, advertising items, jewelry, watches, knives, books, prints. Food available, restrooms, h/a. Space from $3. c/p Bill Wilson, (404) 942-3598. Holden's Triangle Flea Market. 165 N. Main Street. Ample parking. Collectibles, antiques, furniture, primitives, farm items, used merchandise, lots of bric-a-brac. Clean restrooms, snack bar. Outdoor market with some covered spaces from $5. per day. South Atlanta Flea Market. 4140 Jonesboro Road. I-285, Exit 40, 1/2 mile south. Hours 10am-9pm. Ample paved parking. Good selection of small antiques, collectibles, vintage clothing, primitives, crafts, new merchandise. Snack bar, restrooms, h/a. Space from $25. per day. c/p Betty Ratledge, (404) 363-6694. Good Times Flea Market. Highway 29. I-85, Exit 7. Hours 7am-6pm. Admission charge .50 cents. Ample parking. Approximately 100 dealers. New merchandise, novelties, gift items, imports, housewares, electronics, sportswear, collectibles. Food, clean restrooms, h/a. New market. Camping available. Market holds special events, call for their schedule. (404) 583-3442. Sweetie's Flea Market Mall. 2316 Hwy 19 and 41. Two miles south of the Atlanta Motor Speedway. I-75, exit 77 12 miles to the right.. Hours 8am to 5:30pm..Ample parking. Outdoor market. Approx 100 dealers. Antiques, collectibles, farm and country collectibles, primitives, advertising items, used merchandise and new items. Snack bar, restrooms. c/p Pat Martin, Box 181, 30228. (770) 946-4721. Ruby's Trade Day. Highway 411 and Hardin Bridge Road. Ample parking. New and used merchandise, lots of garage sale items, collectibles, farm items, produce, livestock, crafts. Food available, restrooms, h/a. M & J Flea Market. Highway 27. Six miles North of town. Hours 7am-3pm. Approximately 75 dealers. Antiques, crafts, produce, new merchandise. Snack bar, restrooms. Camping available. Inside and outside space available from $2. Camping available. c/p Melvin Smith, 30728. (404) 764-2022. Lee's Crossing Flea Market. 1854 West Point Road. Ample parking. New and used merchandise, general flea market lines, lots of good secondhand items, crafts, collectibles, produce. Snack bar, restrooms, h/a. (404) 882-5780. Barganville Flea-Esta. Frontage road, I-75, Exit 2. Hours 9am-5pm. Ample parking. Approximately 150 vendors. Collectibles, vintage clothing, fine & costume jewelry, antiques, livestock, new amd used merchandise, housewares, primitives. Lots of good used merchandise amd junque. Snack bar, restrooms, h/a. Covered and inside booths with space from $12. per day. Reservations recommended. Camping available $8. per night. New market. c/p Terry or Debbie. Rt. 3, Box 1050. 31636. (912) 559-5192 or 559-0141. Macon Jockey Lot. 6717 Hawkinsville Highway. Located halfway between Macon and Warner Robbins on Highway 129. Ample parking. New and used merchandise, mountains of good secondhand items. Collectibles, glassware, linens, quilts, crafts, produce, livestock. Food available, restrooms, h/a lots of walking. Inside & outside spaces available from $5. Electricity available. Camping available. c/p Cletus Smith. (912) 788-3700. Smiley's Flea Market & Antique Mall. US Hwy 247 & US Hwy 129. 4 miles south of town. Flea market hours Saturday and Sunday are 7am-5pm. Mall hours 10am-5pm daily. Ample parking. Average weekend attendance 10,000+. approximately 300 dealers & 50 antique dealers in the antique mall. Antique mall has nice selection of merchandise. Outside on the weekends you'll find a good selection of country crafts, primitives, collectibles, advertising items, both large & small antiques and much more. Snack bar, clean restrooms, h/a. Space from $10. per day. Camping available. c/p George Kulcsar, 6717 Hawkinsville Rd, 31206. (912) 788-3700 or (352) 331-2999. Fax (912) 788-5344. Antique Mall is open 10am-5pm daily. Sama's Flea Market. Highway 245. (Glendale Avenue, Exit 49 from I-75) Ample parking. Approximately 100 dealers. New merchandise, surplus, closeouts, imports, tools, clothing, toys. Used merchandise, some collectibles. Snack bar, restrooms, h/a. Overnite parking & hookups avail. 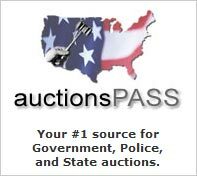 Auctions on Saturday night. c/p Henry Sama. 4156 Pionono Avenue, 31206. (912) 781-1104. Peachtree Peddlers Flea Market. 155 Mill Road. 30 miles south of Atlanta. Hours 9am to 6pm. Indoor market, air conditioned and heated. 300 shops here with wide variety of merchandise. Restrooms, ample parking, h/a. Cafe & snack bars. c/p Peggy Alexander, 155 Mill road. 30253. (888) 661-3532. (770) 914-2269. Bargain & Auction Center. Highway 441 South, N. Columbia Street. 31061. (912) 451-2977. Pride of Dixie Antiques Market. north Atlanta Trade Center. 1700 Jeurgens Court. Hours 9am to 6pm Friday and Saturday. 11am to 5pm on Sunday's. Adm 44. Free parking. Indoor market with quality antiques and collectibles. Lots of great booths here that are well stocked with quality smalls. Approx 300 dealers. Space from $125. For the weekend. Snack bars, restrooms, h/a. c/p Rhonda Perkins. 1700 Jeurgens Ct, 30093. (770) 279-9853. Fax (770) 279-0019. Swinnett Drive In Flea Market. 5785 Jimmy Carter Blvd. Hours Wednesday-thursday 12pm-7pm, Friday and Saturday 11am-8:30pm, Sunday 12pm-6pm. Collectibles, antiques, primitives, country, crafts, fine art, silver, glassware, jewelry. Snack bar. Monthly space rentals only. c/p Anne Osmerg. 5675 Jimmy Carter Blvd. 30071. (770) 449-8189. Southeaster Antiques & Collectibles Market. Georgia National Fairgrounds. Ample parking. Antiques, collectibles and crafts. This is a very nice, clean and friendly well managed market located on a fairly new fairgrounds. Good food, restrooms, h/a. Inside space from $65 and outside space from $60. c/p Southeastern Antiques, Box 730. Macon, GA 31202. (912) 742-8614. Porterdale by the River Antique Mall & Flea Market. Hwy 81 at Yellow River. I-20 exit 44. South to Highway 81. Ample parking. Antiques, collectibles, silver, linens, glassware, primitives, great selection of locally made country crafts. Food available, restrooms, h/a. First weekend Auction; 3rd weekend craft show. (404) 786-1100. Flea Market. Battlefield Parkway, West of I-75. Ample parking. New and used merchandise, collectibles, country and farm collectibles, crafts, produce. Food available, restrooms, h/a. (706) 937-2303. Market is also open on the first Tuesday of each month. Antique & Flea Market. 7471 Highway 85. Ample parking. Antiques, collectibles, furniture, glassware, silver, coins, jewelry, primitives, used merchandise. Food available, restrooms, h/a. (404) 478-9084. Rome Trade Days. Across from the sale barn. Hours 6am-2 pm. Ample parking. Wide open country market with lots of new and used merchandise, collectibles, primitives, glassware, sometimes nice antiques. Food available, restrooms. Antique Center & Flea Market of Roswell. 39th Hill Street. Ample parking. Approximately 150 dealers. Indoor market with 43,000 sq ft of space. Antiques, good selection of furniture, collectibles, glassware, silver, linens, quilts, coins, knives, jewelry. New amd used merchandise, gift items, imports. Snack bar, restrooms, h/a. (404) 642-2267. Coastal Empire Flea Market. Montgomery Street Drive In Theater. Ample parking. Approximately 100 dealers. New merchandise, housewares, tools, imports, electronics, sportsware. Used merchandise, lots of garage sale and bric-a-brac items. Collectibles, crafts, produce. Snack bar, restrooms, h/a. Space from $2. per day. Keller's Flea Market. I-95, Exit 16. Highway 17 South. Hours 8am-6pm. Ample parking. Average daily attendance 5,000. Approximately 400 dealers. Antiques, collectibles, primitives, advertising items, paper goods, glassware, silver. Crafts, fine art. Cafe with excellent bar-b-que. Restrooms, h/a. Outdoor and inside space, some covered starting at $10. Camping available. c/p Cheri Keller, 5901 Ogeechee Rd, 31419. (912) 927-4848. Fax: (912) 925-2638. Ye Old Trading Grounds. Highway 27. 1 mile North of town. Ample parking. Approximately 350 dealers on Tuesday, about 100 dealers on weekends. Tuesday is the big day at this market. On Tuesday's shoppers will find a classic, wide open country market with good, upbeat, everything goes, atmosphere. Antiques, collectibles, crafts, new and used merchandise. Food available, restrooms, h/a and lots of walking. c/p Jane Schlachter. Rt. 2, Box 32, 30745. (706) 857-1433 or 862-2442. Rose City Flea Market. 2069 county Line Road. Hurs: 7am to 4pm. Free adm & ample parking. Outdoor market with some covered booths. Approx 10 dealers. Restroom. c/p Virginia Bossier, (912) 377-3000. The Market Place. Corner Whiteoak & Harrison. Hours 8am-5pm. Ample parking. Average daily attendance 2,000. Approximately 100 dealers. Wide range of merchandise here, an everything goes market. Good selection of new merchandise and lots of used garage sale items. Cafe, restrooms, h/a. Inside and outside market. c/p H. M. Smith, P.o. Box 352. Warrenton, GA 30878. (706) 465-3397 or 595-9875. Crystal's Flea Market. 1631 Genoa Street. 31501. Hours 8am-5pm. Ample parking. New and used merchandise, collectibles, crafts, produce. Snack bar, restrooms. (912) 283-9808.